There have been plenty of leaks about the Vivo V5 Plus smartphone over recent weeks and the phone has finally been announced today. Its highlight is a dual front camera arrangement that will make it a good pick for selfie enthusiasts. Now we have the official Vivo V5 Plus price and specs from the India launch. 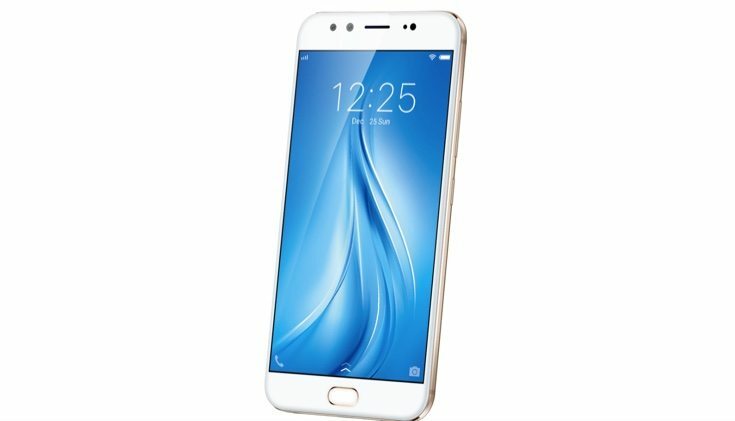 Recently the phone appeared on an official Vivo website along with the Vivo V5 Lite. An event held today in New Delhi has seen the wraps taken off the Vivo V5 Plus and if you’ve been wondering how much it will cost we now have that information. The official Vivo V5 Plus price in India is Rs. 27,980, which tallies very closely to the previous price indication of the phone from a Malaysian website. For comparison the price of the regular Vivo V5 in India is Rs. 17,999. The major selling point of the V5 Plus is undoubtedly its front camera arrangement. It has a dual selfie camera with a 20-megapixel Sony IMX376 sensor, 5p lens, f/2.0 aperture, and moonlight flash, as well as an 8-megapixel sensor for measuring depth. The rear camera has a 16-megapixel unit with f/2.0 aperture, LED flash and PDAF. The phone is powered by a 2GHz Snapdragon 625 octa-core processor with Adreno 506 graphics, and has a 5.5-inch screen with Full HD resolution (1920 x 1080). It has 4GB of RAM, 64GB of internal storage, and a 3160 mAh battery. Connectivity options include the usual WiFi, Bluetooth, and GPS, and it’s a dual SIM device. The phone runs the Android 6.0 Marshmallow-based Funtouch 3.0 OS and is likely to be updated to Android 7 Nougat at some point. The handset weighs 158.6g and measures 152.8mm x 74mm x 7.26mm. A fingerprint sensor is incorporated into the Home button on the front. What are your first thoughts on the Vivo V5 Plus price that has been announced for India?